Chevy’s vehicles are incredibly affordable, but you might find yourself interested in pursuing a lease. Fortunately, the brand’s array of offerings makes this a distinct possibility. The majority of Chevy’s cars, SUVs, and trucks are accompanied by some type of lease option, meaning you can pursue your targeted vehicle for an affordable price. Qualified lessees can take advantage of this low-mileage deal from any Chevy dealership. The brand offers a very reasonable lease deal for this subcompact car, as drivers will be responsible for paying $219 a month for 39 months (after paying $2,139 at signing). Of course, as you’ll see in many of Chevy’s lease offerings, it’s important to be cognizant of the mileage restrictions. Drivers will have to pay $.25 for each mile driven over 32,500 miles. 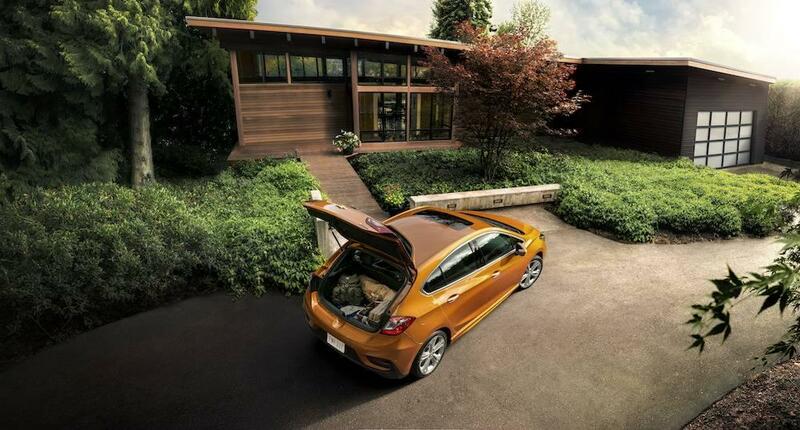 The Cruze is one of Chevy’s more versatile offerings, and drivers can appreciate a Chevy lease deal for both the sedan and hatchback version of the model. The monthly obligation is similar for both vehicles, as customers will be billed $179 a month for two years. $2,449 is due at signing for the sedan option ($1,199 for active lessees), while $2,389 is due for the hatch ($1,139 for current Chevy lessees). The mileage tops out at $20,000, so drivers should anticipate paying some extra cash if they’re going to exceed these restrictions. Chevy offers some incredible deals for those looking to purchase a new 2017 Malibu. However, those who prefer to lease the sedan will also find an advantageous offering. After forking over $3,039 at signing (or $1,789 for current lessees), drivers will be responsible for paying $209 monthly over 39 months. The brand has capped the mileage at 32,500, meaning you’ll have to pay an extra quarter for each mile over this limit. Who wouldn’t want to cruise around town in the sporty and stylish 2017 Chevy Impala. Well, thanks to these affordable Chevy lease deals, you have that opportunity. The lease deal requires customers to pay $279 a month over 39 months, and you should also account for the $3,819 due at signing ($3,319 for current lessees). Predictably, drivers will be required to pay $.25 for each mile that they go over the 32,500-mile restriction. This sports car is often reserved for those with bigger budgets, but Chevy makes it incredibly easy for any of their customers to lease a brand new 2017 Camaro. The $3,209 (or $2,709 for current lessees) due at signing may seem a bit hefty, but the $279 monthly payments (due consistently over 39 months) makes the financial obligations a lot more bearable. 32,500 is the mileage restriction set by the brand, so make sure you account for this when pursuing a Camaro lease. Perhaps you prefer an affordable Chevy SUV, in which case the 2017 Trax is the perfect option. Surprisingly, this is one of the brand’s most generous lease options. After paying $3,029 at signing ($1,779 for current lessees), drivers will only be obligated to pay $179 a month (over 39 months). The 32,500-mile limit shouldn’t be too restrictive to potential customers, but it’s certainly important to keep this in mind as you’re shopping. Drivers don’t have to settle for the 2017 Equinox, although there’s no denying that it’s a perfectly capable vehicle. Rather, drivers can already opt for the 2018 model! For starters, the 2017 model comes in at only $199 a month over two years, and only $3,229 is due at signing ($1,979 for active lessees). While the 20,000-mile restriction leaves something to be desired, you shouldn’t be worried about dishing out a bit of extra money due to the low monthly payments. Meanwhile, the 2018 Equinox comes in at $229 a month over two years. The $4,129 signing fee is about what you’d expect for a 2018 model, although current lessees can take advantage of the very affordable $3,629 fee. The 20,000-mile restriction is identical to the 2017 model. Another one of the brand’s impressive SUV options is also accompanied by a reasonable Chevy lease deal. The hulking 2017 Chevy Traverse required a monthly payment of only $269 over 36 months, with $4,809 due at signing (or $3,559 for current lessees). With a reasonable 30,000-mile restriction, this may be one of the company’s best lease offerings. The pricey monthly fees are certainly justified when it comes to the incredible 2017 Chevy Tahoe. The $549 monthly payments (over 39 months) might price some customers out of the conversation, but others will quickly see this as a bargain once they discover everything the Tahoe has to offer. With only $3,969 due at signing (or $2,719 for active lessees), this option certainly won’t break the bank. Plus, with the 32,500-mile restriction, you probably won’t be spending extra on mileage fees. Of course, despite all of the brand’s other SUV lease options, the 2017 Chevy Suburban is still the most desirable offering. Yes, there’s no denying that the $599 monthly fee over 39 months is quite the financial obligation, but the vehicle’s capabilities certainly justify the price tag. Drivers will have to commit $4,799 at signing ($3,549 for lessees), although the 32,500-mile limit probably means you won’t be paying extra in fees. The Colorado pickup is one of the most dependable trucks on the road, and the affordable lease option makes it a “must-target” for any prospective car buyer. The vehicle only requires a monthly payment of $279 (over three years), and the $3559 signing fee ($2,309 for current lessees) shouldn’t break the bank. With a 30,000-mile limit, the Colorado is the perfect lease choice for those seeking a new pickup. Alternatively, drivers can opt for the impressive 2017 Chevy Silverado 1500. The vehicle is a bit pricier than the Colorado, but that’s justified when you consider the inclusion of the “All Star Edition” and the 4.3-liter EcoTec3 V6 engine. Drivers are responsible for paying $289 a month over 36 months, with $3,489 due at signing ($1,739 for current lessees).